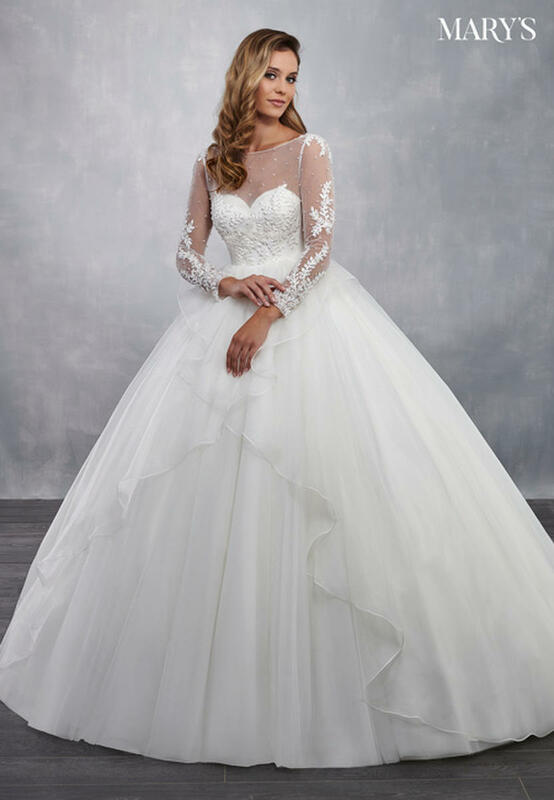 Traditional tulle ball gown with a sheer yoke, full length sleeves and a sweetheart neckline. The bodice has been accented with embroidered lace, crystal beading and covered button closure. The full skirt features a split-front cascading organza overlay and a sweep train.